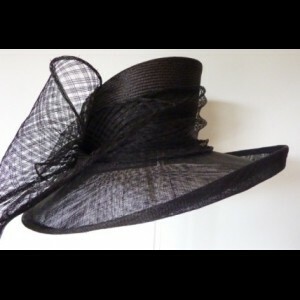 Large brimmed black sinamay with a sloping parasisal shaped crown. 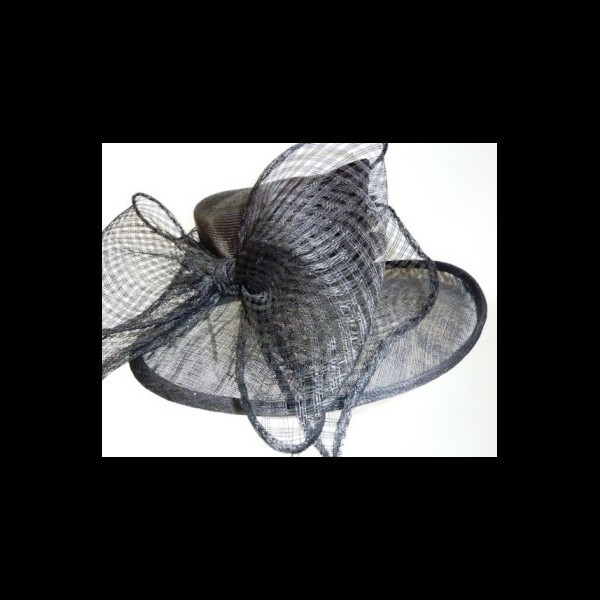 The crown is swathed in black mesh sinamay, finishing with a large mesh bow worn to the right side. The left side of the brim is very gently upturned. 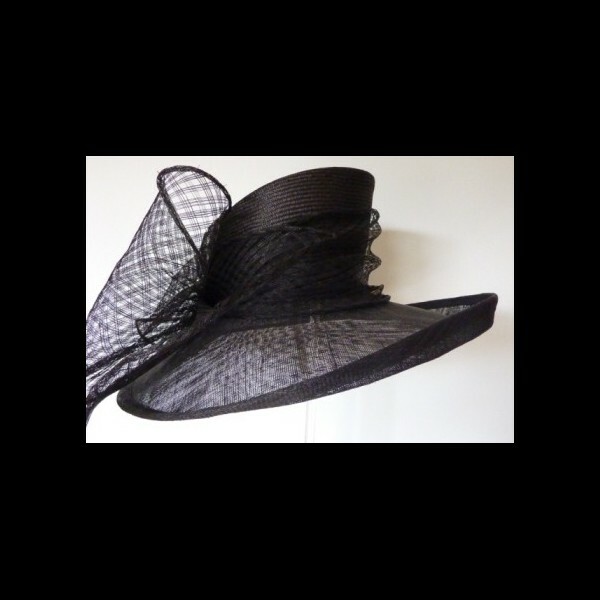 Large brimmed black sinamay with a sloping parasisal shaped crown. The circular brim measures approximately 16”/40cm in diameter. The crown is swathed in black mesh sinamay, finishing with a large mesh bow worn to the right side. The left side of the brim is very gently upturned. Italian Designer Ilda Di Vico has been operating her own label since 2005, gaining both national and international acclaim. Ilda's design philosophy encourages pieces that stand out, look individual and continually inspire the imagination of those who both see and wear them. Due to the recognizable unique design, numerous press releases and celebrity clients, the brand has achieved a somewhat cult status worldwide, making a name for itself in the highly selective and competitive market. Ilda Di Vico designs hats for people who are not afraid of expressing themselves. 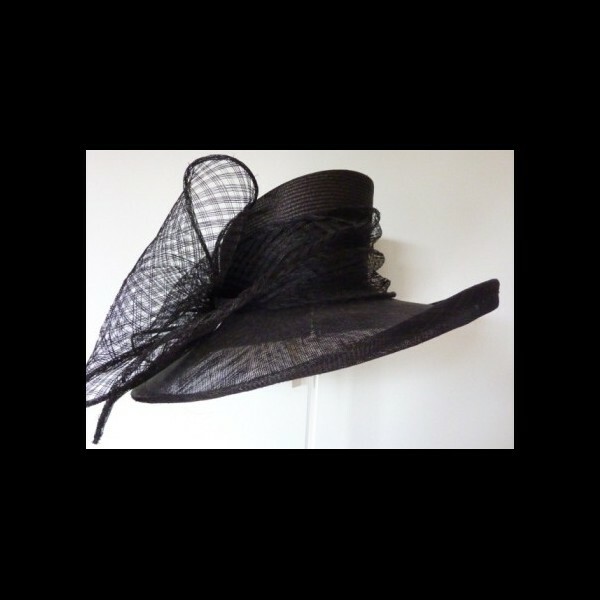 The price quoted is for the hire of the hat - please see our Terms & Conditions of Hire.